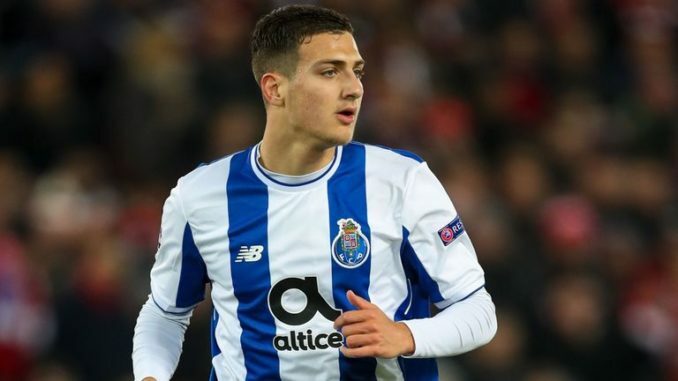 Manchester United are reportedly optimistic of signing defender Diogo Dalot from Porto before the end of the week. The 19-year-old has been more of an unknown to most of the United faithful but reports suggest that he is on the cusp of becoming the club’s first summer signing. According to Goal.com, the Red Devils have met the £17.5m release clause on the player’s contract and they are hoping for the deal to be concluded by the weekend. Dalot has the potential to play at either right-back or left-back but judging by his recent progress, the Portuguese has primarily featured on the right side of the defence for Porto’s B team. As such, the youngster could be considered as a long-term replacement for Antonio Valencia, who remains Jose Mourinho’s preferred choice for the right-back position. The Ecuador international has yet to show massive drop in his performance levels but judging by his trailing age, it may not be long before United need to replace the 32-year-old from the first XI. Matteo Darmian has primarily been Valencia’s back-up over the past few seasons but Dalot’s arrival should coincide with the Italian’s exit with Juventus leading the race to secure his signature.